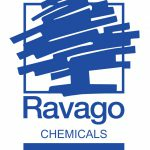 Ravago Chemicals Hellas, for yet another year, participates as a sponsor in the 13th PAINTS SYMPOSIUM, titled “Research and Technology of Paints, Varnishes & Inks: Building a lasting Future”. The symposium is organized by The Scientific Division “Paints Varnishes Inks” of the Greek Chemists Association in partnership with the School of Chemical Engineering, Department of Materials Science and Engineering of NTUA. Several innovative companies, experts from paint companies, and raw material suppliers for the industry and academia, as well as staff members from academic/ governmental research institutes, will participate In this major technology forum, in order to be updated on important advancements to coatings, printing inks, and varnishes. Apart from its participation, Ravago Chemicals Hellas, wanting to contribute to the Symposium, has submitted a 2-page advertisement in the proceedings book of the Symposium which will be distributed to the participants and in academic libraries and research centers. The Symposium is to be held on March 15 & 16, 2018 in Athens, Greece. For further information, please visit https://www.eex.gr/news-rss/1849-13o-sumposio-xromaton. Absorption of Chemicals Division of the company "DELTA CHEMICALS SA" by the company "RAVAGO CHEMICALS HELLAS SA"
We would like to inform you that by virtue of the attached Announcement of the Chamber of Viotia (General Commercial Registry) with protocol number 1086011 dated 17/11/2017, the absorption of the Chemicals Division of the company “DELTA CHEMICALS SA” by the company “RAVAGO CHEMICALS HELLAS S.A.” has been approved. 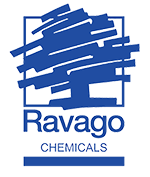 On June 26, 2017, VELTRO became part of the Ravago Group’s Ravago Chemicals business unit.